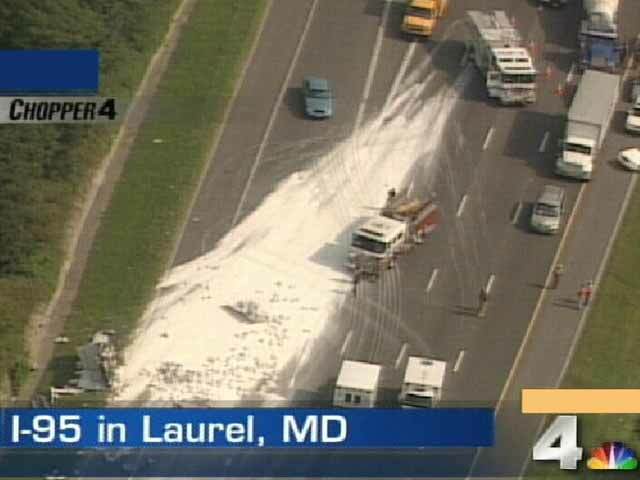 A truck carrying flour crashes and spills on I-95 in Laurel, MD in 2004. Crew used brooms and leafblowers to remove the flour. They were reluctant to use water because of the mess it could have created.